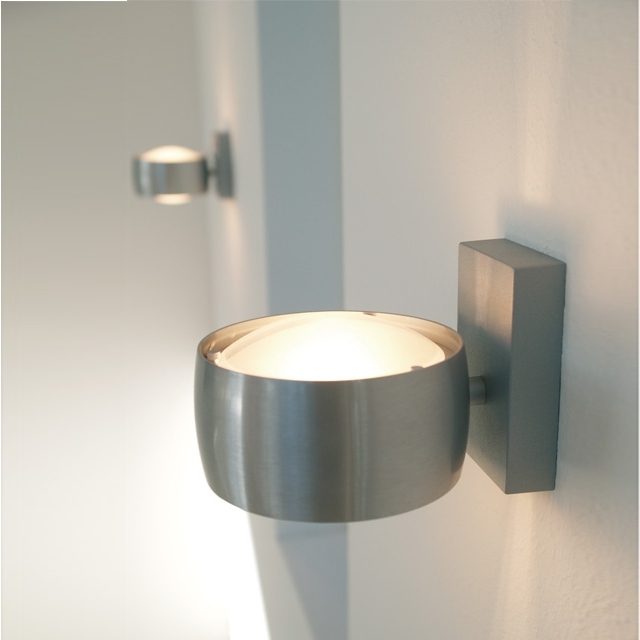 The wall light Grace from Oligo has an opening on top and bottom, which produces a mesmerizing play of light at your wall. The lamp uses the wall like a canvas, creating a fascinating effect of indirect, reflected light in different levels of intensity. In combination with a white surface it appears elegant and classy, in combination with a coloured wall it produces a totally different effect engendering atmospheric lighting and causing a soft and stylish background ambiance. Oligo attaches utmost importance to quality. Therefore Grace is not only a wall lamp with an impressive appearance, but consists of upscale materials manufactured by well trained professionals. The high standards for their own work’s quality are a great incentive to the people at Oligo, who are only satisfied with the best results. But back to Grace wall light: besides the amazing structure of light, the modern look of Grace is going to be an eye catcher in every ambience. A luxurious and valuable casing made of brushed aluminium and glass bowls gives Grace a contemporary and beautiful look. Due to the aluminium reflector and the partly satin finished glass lenses a totally glare-free illumination is guaranteed. Because of all these great features the price winning wall lamp Grace can already be called a classic!